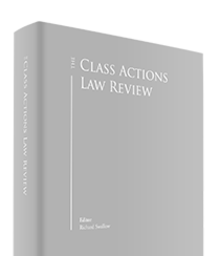 The Swiss system of civil procedure does not provide for a class action per se. Both proposals are now subject to a formal consultation process, which is open for comments by interested parties until 11 June 2018. Under the current law, the most recent attempt of a class action-like suit was initiated by the Swiss consumer protection organisation Stiftung für Konsumentenschutz (SKS) before the Zurich Commercial Court against Volkswagen AG (VW AG) and Swiss car dealer AMAG on behalf of approximately 6,000 Volkswagen diesel car owners.7 They alleged that the sales of the vehicles were made under misleading statements, particularly as regards their emissions. In a first proceeding, SKS – in its own name but for the benefit of its members – brought an action for declaratory judgment under Article 10 Paragraph 2 in connection with Article 9 Paragraph 1c of the Federal Act Against Unfair Competition (UCA). 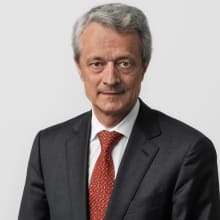 SKS further lodged a second proceeding claiming individual damages suffered by certain individual car owners (Article 9 Paragraph 3 and Article 10 Paragraph 2 UCA in connection with Article 41ff Code of Obligations), on the basis of individual assignments of their claims by the respective Volkswagen diesel car owners. The two proceedings are still pending. We keep following the developments. 1 Martin Burkhardt is a partner at Lenz & Staehelin. 2 Report of the Swiss Federal Council ‘Kollektiver Rechtsschutz in der Schweiz – Bestandesaufnahme und Handlungsmöglichkeiten’, Berne 3 July 2013. 4 https://www.admin.ch/ch/d/gg/pc/documents/2940/Bericht_ZPO_de.pdf, Erläuternder Bericht zur Änderung der Zivilprozessordnung (Verbesserung der Praxistauglichkeit und der Rechtsdurchsetzung), pp.17–18. 5 Preliminary draft, new Article 89a ZE-ZPO pp. 3 et seq. ; https://www.bj.admin.ch/dam/data/bj/staat/gesetzgebung/aenderung-zpo/vorentw-d.pdf. 6 Preliminary draft, new Article 352a et seq. ZE-ZPO pp. 10 et seq. ; https://www.bj.admin.ch/dam/data/bj/staat/gesetzgebung/aenderung-zpo/vorentw-d.pdf. 7 Plädoyer 01/2018, Sammelklage über Umwege möglich, available under: https://www.plaedoyer.ch/artikel/d/sammelklage-ueber-umwege-moeglich/ last accessed 8 February 2018. 8 Ibid. p. 52 et seq.